BenjaminWoo.net > News > Week 4 update: Anxious and insecure? This week, the Work in Comics survey broke the 300 barrier, with a total of 346 completed responses as of this writing. Yay us! The male–female split is holding at around 70/30, respectively. There is a total of 333 responses to the race/ethnicity question, with eleven “other” responses I haven’t yet had a chance to sort. Setting these aside, 297 people report at least some European ancestry, with the next highest single category being Latin American (25). Writer/artist is still the most commonly reported occupational role, with 53% of respondents saying that was their primary role during the last three years. The data set, as it currently stands, includes forty-four writers, eleven pencillers, five inkers, only two letterers, fifteen colourists, and fifteen editors. 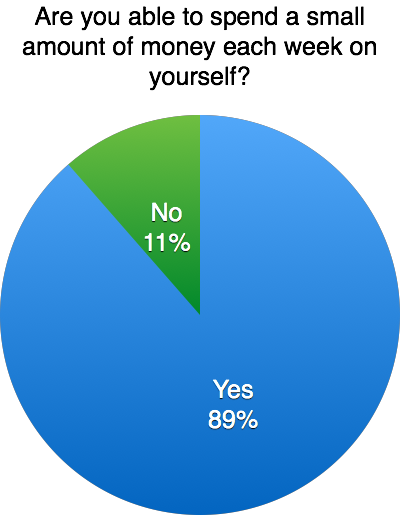 Sixty-one per cent say their work has mostly been self-published, either in print (33%) or digitally (28%). So, although the data set is getting more robust all the time, there are still significant gaps in terms or representing the full scope of activities going on in comics. If you can help us close some of those gaps, please take the survey and share it with your peers and collaborators. Too many artists have no idea what happens to their work when they die, no plan for retirement even for those who see that as an option, and no idea how they might participate in best securing their legacy when they’re gone. While “too many” is both a subjective judgement and a bit of a rhetorical flourish, it identifies a real problem, and it just so happens that I can put some data behind it. So for this week’s update I want to look a little at the economic well-being of comics creators. Crunching the numbers on income will take some time, so I’m waiting until all the data come in to do that. But in the meantime there are some simple measures that will give us a bit of insight into the conditions people are facing and the ones they’re anticipating in the future. As I said, a thorough report of income is not yet available. However, two items were included in the survey as standard measures of acute income insecurity. These questions asked if the respondent could afford to pay for an unexpected expense of $500 out of their own resources (left), and if the respondent could afford to spend a small amount of money on themselves each week (the “Treat Yo Self” question; right). By these measures, comics creators aren’t doing too badly. Though we should obviously be concerned that nearly one in five surveyed creators would have difficulty covering a $500 emergency expense, I actually expected a lot worse. Another frequently cited source of anxiety and insecurity for workers in a largely freelance industry (and especially in the American context) is health insurance. Freelance workers generally don’t have access to employer-provided health benefits, which is the main mechanism for providing basic medical benefits in the American system and extended benefits in jurisdictions like Canada. And we know from tragically periodical appeals to fans that a medical emergency can absolutely ruin a creator’s financial life—which is not all that distinct from their life life. Again, I was somewhat surprised by the results here. A whopping 80% of surveyed creators have some form of basic medical coverage, and only 15% of surveyed creators say they can’t afford to pay for basic medical insurance. This is a good result in the short term. However, the 20% who say they are covered by a spouse or parent’s plan is somewhat worrying. And, ironically, the biggest group are those covered by an employer’s plan. Given that only 5% of respondents describe their status in the comics industry as an employee (either full- or part-time) and an additional 4% are freelancers with exclusive contracts, I think it is reasonable to assume that most of these people are getting health coverage from their “day jobs,” so increasing comics creation activity might well lead to less stability and security if it means also giving up this access to basic medical coverage. For the sake of completeness, I also asked about extended health insurance that covers any portion of the cost of prescription drugs, dental and vision. Given the strain that staring at art boards and computer screens present, I am rather concerned that nearly half of respondents have no vision care benefits to speak of. But does this get us any way towards addressing Spurgeon’s point? My sense from the stories and anecdotes I’ve heard—and from watching the changing credit boxes on the comics I read—is that comics production can be quite ageist. When you’re no longer the hot new thing, your prospects decline substantially. Hence, the issue of retirement planning is indeed an important one. Respondents were asked whether they had a plan for retirement (left) and, relatedly, whether thinking about the future made them anxious (right). As you can see, the two charts are nearly inverse images of one another, though the second one skews a bit harder, meaning that even those who strongly agree that they have a plan are still anxious. I hope that doesn’t mean their plan is to win the lottery—or the comics industry equivalent, to land a big movie deal.